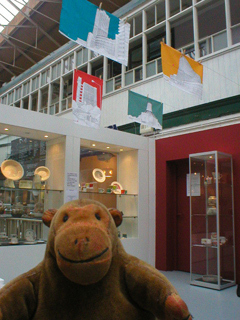 "That'll be why it's called Feast, then"
Mr Monkey scampered into the Craft and Design Centre on the opening day of the Feast exhibition. He'd come to see decorative and functional tableware suitable for feasting off. 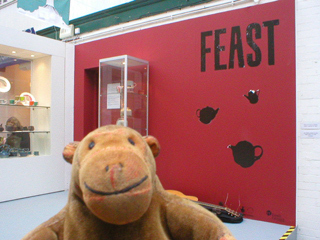 You can read about Feast at the Craft and Design Centre website.